IT'S ALL ABOUT PERCEPTION. Ten years ago if I had heard of a child sleeping on the floor, without a mattress, I would have been concerned. Backpedal to my job as a magazine editor. My charge? I had to find fabulous homes to feature in a city magazine. I found a super-fab place on the water and, as we all toured the place, I noticed something was missing. There were no beds. Anywhere. "Such wasted space, bedrooms," the homeowners explained. "But that isn't why we don't have beds. We both struggled with back pain. We had to sleep on the floor while our home was being built several years ago, and our backs felt miraculously better." They said they hadn't slept in a bed since. Fast forward to today. I am tagging along with a caseworker who is investigating a not-so-fab home to make certain it is appropriate for a teenager who has been living there. There is no bed in the child's room. 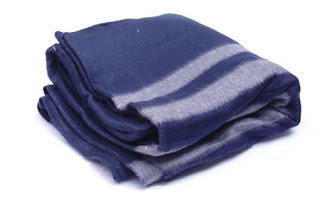 Sheets, a blanket and a pillow are neatly folded and stacked against one wall. "A pallet?" the case manager asks. "Yes, a pallet," the support person for the teen repeats. Today I know that a bed will not make or break a person. In fact, A bed may hurt the back. What matters most is that the child has a roof over her head and people who care about her who are willing to open their home during a time when she needs a little help. It's all about perceptions, and, I have to say, mine are changing as the days go by.